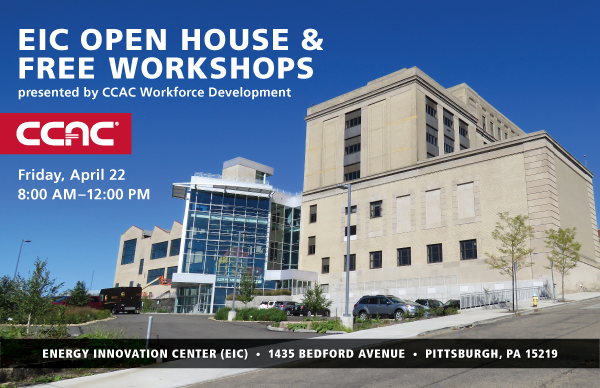 CCAC now provides state-of-the-industry educational programs in the newly built Energy Innovation Center (EIC)—a LEED Platinum certified facility located in Pittsburgh’s vibrant Uptown neighborhood. 10:00 AM–10:45 AM Customer Service—Who is Your Customer? Attendees can enter to win a free, four-hour Teambuilding workshop for up to 10 people from their organization. Please RSVP to Sylvia Elsayed, EIC director, at selsayed@ccac.edu or 412.482.3381. The EIC is located at the former Connelly High School; free parking is available on-site.